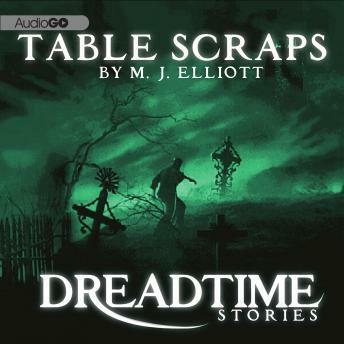 Dreadtime Stories: Table Scraps: From Fangoria, America's #1 Source for Horror! Most politicians would kill for a high approval rating. The powerful Lorrimer family doesn't need your approval - but they kill anyway. Conspiracy expert Isaac Salt is determined to uncover all the Lorrimer's secrets, even if it means sneaking onto their private island. But what's waiting for him there is the last thing in the world he expects. Hosted by Malcolm McDowell and commissioned by Fangoria - America's number-one source for horror - this original short story is fully dramatized to thrill and chill you!